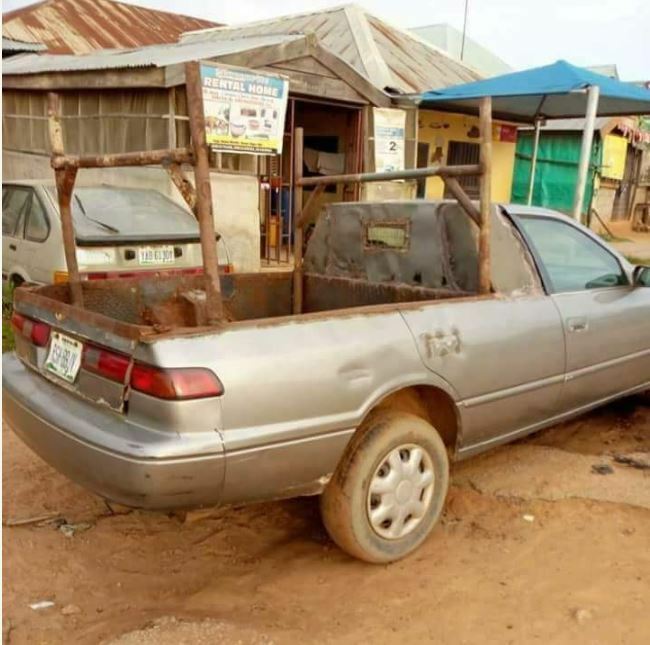 A weird Toyota Camry car has been spotted in Edo state and it was transformed in such a way that the makers of the car will burst into tears. A concerned social media user spotted in Edo State and shared online. According to the person, he wondered what was on the mind of the panel-beater when he was deforming the vehicle. It appears the modified vehicle is being used for commercial purposes. 0 Response to "Only In Nigeria!! 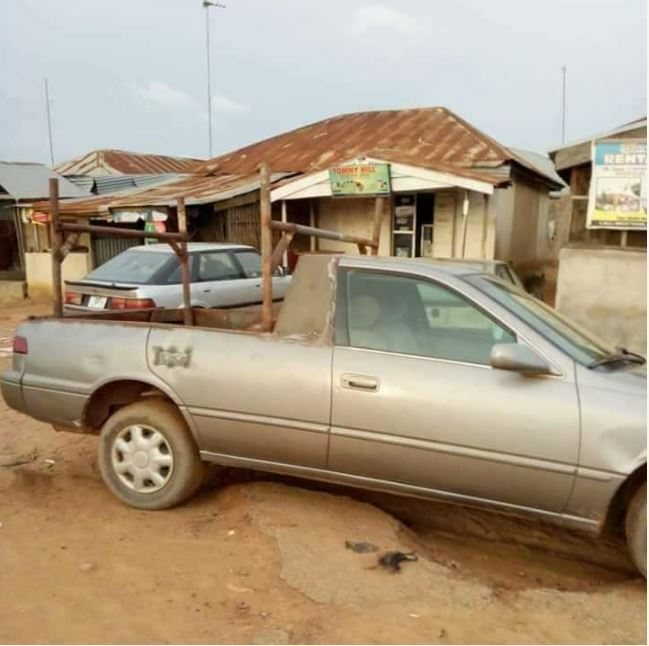 Weird Toyota Camry Car Spotted In Edo State (Photos)"